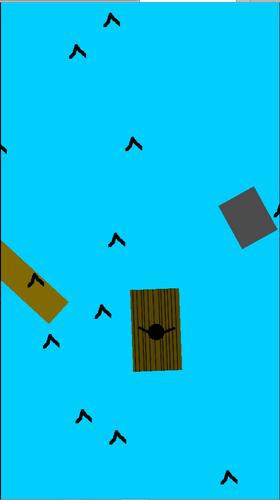 Super basic game that I made in a night a long time ago. Figured I would release it anyways because why not? Actively click in the direction you want to go. Dodge rocks and logs to try and make it as far as possible. Click on the word "DEATH" when you want to restart the level.